High capacity product with perfect shape and even sizing. Stress relieved frame: Heavy duty reinforcements are installed at high stress points. Hydraulic Adjustment to aid in quick Cone Crusher setting changes. Hydraulic clearing is standard on SP Cone Crushers with release cylinders to shorten the down time. NO filling in the concave to be replaced quickly and expediently. Automatic overload protection: If overloaded, the crusher can be restored automatically to keep the discharge opening and steady productive quality. 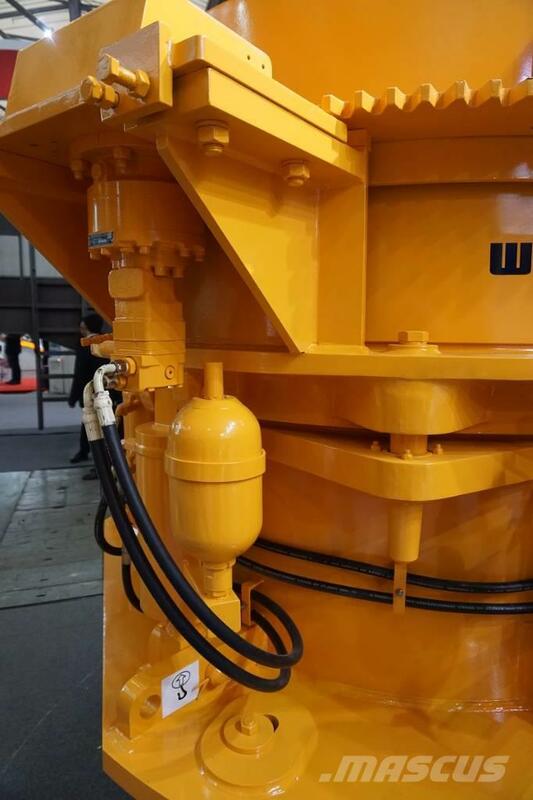 SP Cone Crushers have a high capacity, external mounted lubrication pump, oil tank, oil filtering system, high oil temperature shut-down, low oil flow shut downs and an oil flow gauge. A heat exchanger is also available. 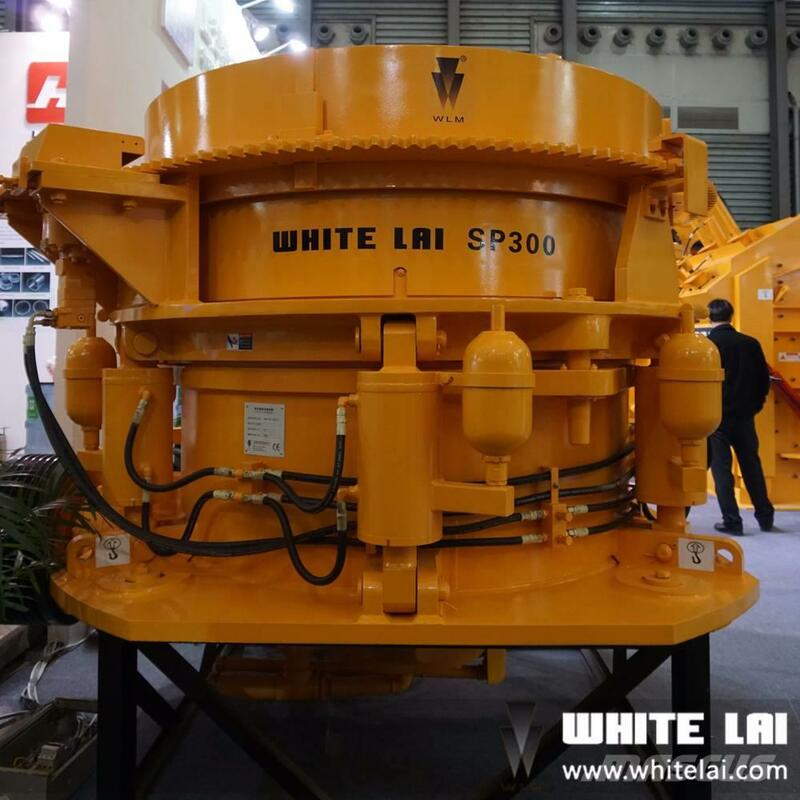 Higher eccentric height for bigger crushing ratio and higher crushing efficiency. Concave locked to top cell from above, stable fixation, easy exchange. Higher rotation speed up to 800 rpm for higher capacity. Increased height of mantle & concave for more crushing efficiency. Increased stroke at the feed opening for higher crushing ratio and more throughput. 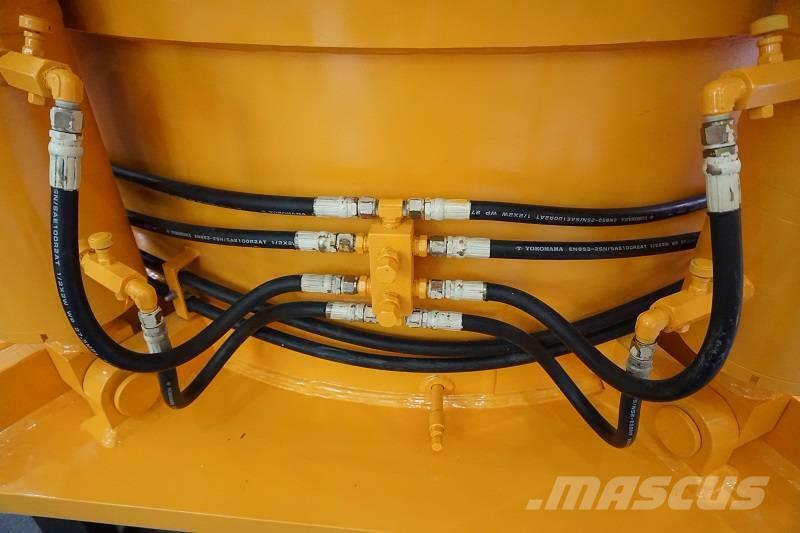 Strong & tidy main frame, crusher sheave with high power transmission rate, for longer service life of the drive device.